A letter sent from BT's lawyers to the European Commission is believed by The Telegraph to reject charges laid against Google, charges suggesting the search giant is abusing its position at the top of the Android ecosystem to purposefully hinder competition from rival software producers and services. Filed last year, the charges relate to Google's requirement for Android device producers and carriers to preload Google Search and Chrome onto hardware, if they want to use other essential Google products on the device, such as Maps or the Google Play Store. Manufacturers are also pressured to set Google as the default search, and is even offering financial incentives to participate in the program. The European Commission believes this activity is anticompetitive, stifling competition by effectively preventing rival app stores from being used. The Commission also had issue with "anti-fragmentation agreements" that prevent device producers from creating their own "fork" of Android itself, with the agreements making it harder for users of forked Android devices to access Google's other services. A BT spokesperson confirmed the telecoms company's legal team had written to the European Commission about the investigation, advising "We told them BT is free to pre-install its own or third-party apps on devices alongside pre-loaded Google apps." "We also said that, as an app provider, we value the ongoing stability and compatibility of operating systems, whether they are 'open source' or 'closed source.' This is why we welcome anti-fragmentation initiatives such as Google's." While the content of the letter is largely unknown, report sources claim BT intervened in order to keep Apple from gaining a major advantage, if the European Union took action to weaken Android in some way. Apple is considered to be a major force in the U.K. telecommunications industry, with the popularity of the iPhone enabling Apple to dictate more favorable terms with carriers. 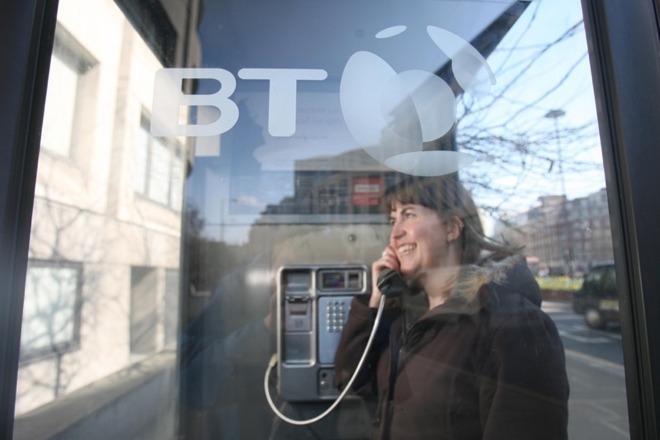 While known for landlines and managing the telecommunications infrastructure of most of the U.K., BT does have an interest in proceedings, as it does own EE and so may want to prevent Apple from getting into a stronger negotiation position. The Commission has the capability to fine Google up to 10 percent of its annual global revenue for each antitrust charge, which could potentially cost the search company billions. A separate investigation by the Commission over Google's search dominance, dealing with how it prioritizes the top of search results with its own services, is also ongoing.